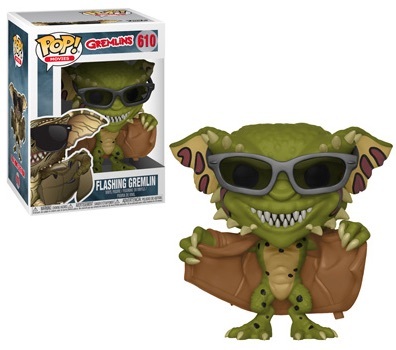 You can get these little guys wet, but you probably won't want to because the Funko Pop Gremlins are too cute (yes, even Spike!). 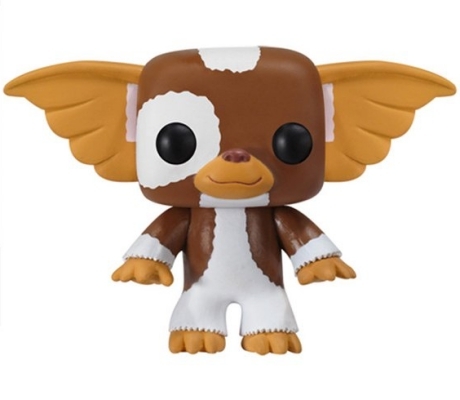 In 1984, the world was introduced to a cute, furry and potentially dangerous Chinese goblin, Mogwai. Soon, he was renamed Gizmo and audience members fell in love. 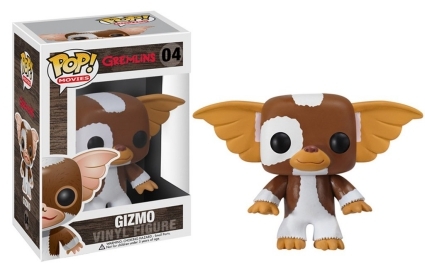 The Funko Pop Gremlins Gizmo vinyl is no exception as he appears just as adorable with brown-and-white fur and extremely large ears that spread beyond his body. 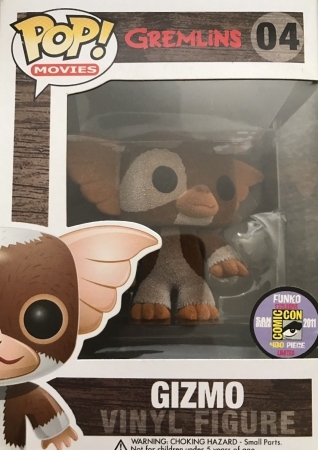 Collectors seeking the 2011 San Diego Comic-Con flocked exclusive may have a slight challenge due to the production of only 480 figures. 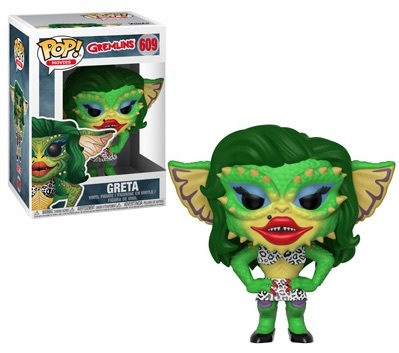 Order Funko Gremlins Figures on Entertainment Earth. Of course, there are three simple rules to be followed if you have a Mogwai: keep it out of direct light, do not get it wet, and never feed it after midnight. If any of these events should occur, you will end up with a new batch of creatures that are not very pleasant. 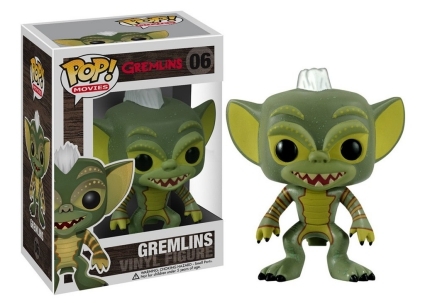 While the Funko Pop Gremlins package states simply "Gremlins," most will recognize the green creature as Spike (or Stripe, depending on who you ask), with a white mohawk. 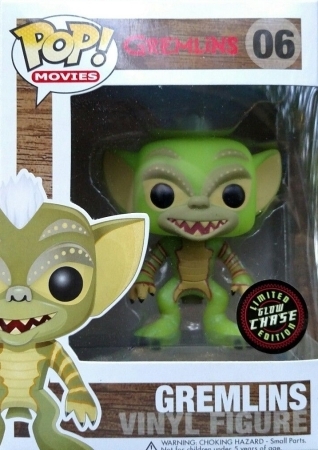 In addition, there is also a glow-in-the-dark chase variant found in the Pop! Movies set. 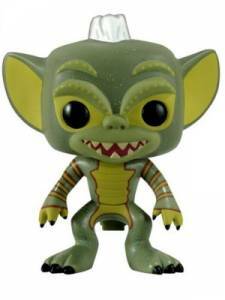 View more details about Gremlins collectibles with our related guides.